About a week ago, my laptop died and I spent hours trying to resurrect it. I failed. So I spent several more hours. And failed again. Then I panicked. I feared I had lost spreadsheets and word documents and other files I wouldn’t even miss until I needed them. And hundreds of photos. In a state of hysteria, I called in PC Man. And, after a few days, PC Man brought my machine back to life and returned it to my bosom. PC Man is a marvel … and my hero (though I would never tell him; that would be too weird). Newly mulched beds and the rock border. Today at the Priory. PC Man had to do a full operating system re-install but before doing so he backed up all my personal folders. Thank you PC Man. All my files are safe and back where they belong but I’m now in the very lengthy process of re-loading various programs, migrating e-mails and trying to get everything back to how it was. It is sobering how important my laptop is to me. Often, I could happily smash it to bits with a breeze block but I didn’t half miss it when it was gone. After a gap of several years, there are ducklings at the Priory! Stupidly, unlike you, I hadn’t been making regular backups of all my data. My last backup was in early February – so I truly did worry that I had lost hundreds of photos. Now I will definitely, absolutely, categorically make a weekly data back-up. Just like you do. 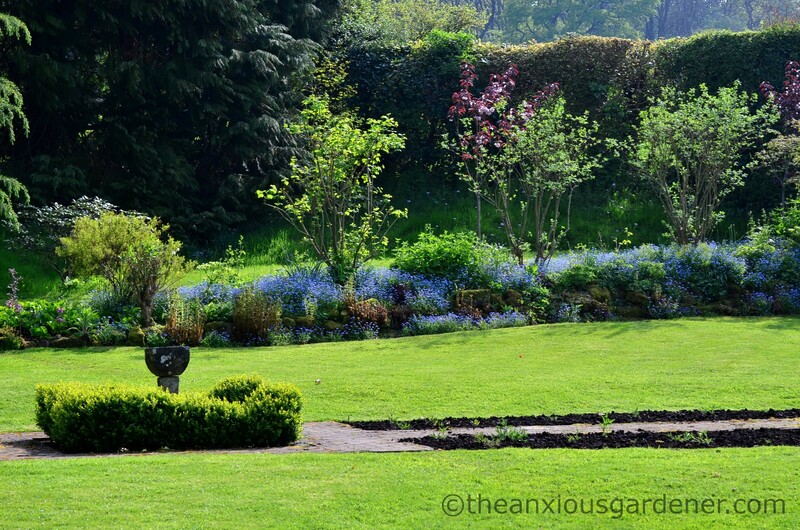 Lovely pictures – do I spy a sea of forget-me-nots to put even mine to shame? Ours have been looking rather good this year, but not quite as consistently flowing as that… My organised husband is very good at backing up our data very regularly – just as well, or I’d be at risk too! I’ve lost several computers over the years and none were backed up, but it hasn’t happened in the 3+ years that I’ve been blogging. It might be a little harder to take now. I have a small bonus coming up from work soon and I think you’ve convinced me to get that 2TB external hard drive I’ve had my eye on. I’m glad you were able to get everything back. Dave, if it’s any consolation, I’ve never made a back-up of anything, or only did so inadvertently. I’ve lost two computers already and all their photos. The current piece of equipment has only one USB port that works, and my newish cat has already spilled coffee over the keyboard – which, funnily enough, seems to have made the keys work better. You seem to keep on taking so many matchless photos, it’s like you almost don’t need a back catalogue. But that’s a banal comment. It hurts massively to lose the stuff you’ve built up, I know. Talent such as yours could never be dulled. Despite working in an office I get very stressed with IT at home. Thankfully my sons are quite adapt at sorting things. I got a new laptop last week as my old was crashing mid blog post and just had had enough, luckily while I was away for the weekend my eldest just transferred everything across for me. I dont back up enough either! I started backing every thing to the cloud…then it doesn’t matter if your machine takes a dixie, or gets stolen, your spreadsheets/photos/important files are safe, sound and sync-able across all your different devices! ps. The tulips in your kidney bed are so pretty! 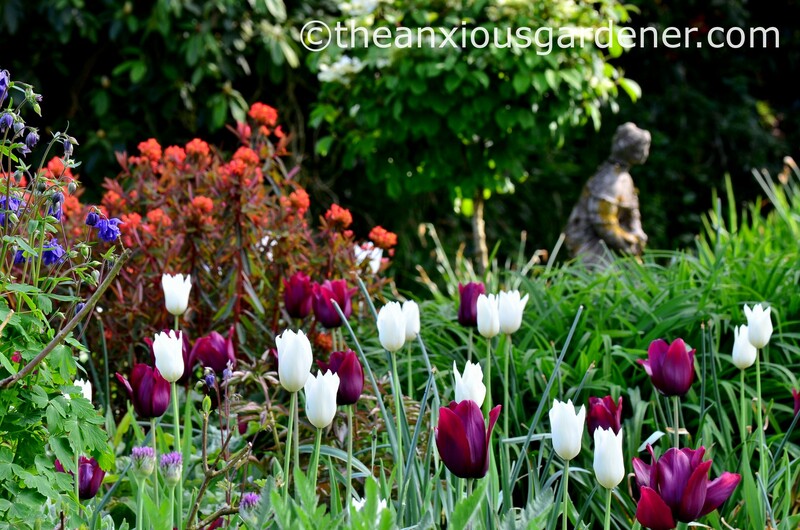 I miss tulips! Glad nothing was lost. You’ve reminded me, it’s time to back my last lot of photos up. I learnt that lesson the hard way a few years ago and annoyingly lost everything. My daughter with 3 years of uni work work also learnt it recently but with a lucky escape like you. Lovely image of the fallow deer being chased by a gardener! The garden looks wonderful, your hard work is evident. I think we’re all guilty of back up failures! You must have been so relieved when PC Man managed to restore your hard drive. It happened to me several years ago so I’m quite good at backing up now but have currently got a macbook sitting in a drawer until the logic board is replaced – appointments at the Apple Store are like tickets into Willy Wonka’s chocolate factory! The Priory is looking gorgeous in the spring sunshine – isn’t it great how the warm weather has brought everything out so soon! That was a gently nudge……will do …. That was scary, my son is my PC man, he installed a weekly back up system that works automatically while we are having Sunday Lunch! Super header photo, by the way! Don’t worry, you’re not the only one. We had a hard drive failure late last year and we lost loads of photos for good. We managed to retrieve some of the ones we uploaded online but a majority, 2008-13 period were gone. Not overly bothered really, you tend to overtake photos with having digital cameras but I also realised that we don’t have photos of the inside of our house before the renovation, now that I’ll miss. Glad to see the ducklings and feeling a little smug about doing my weekly backups. It’s been almost seven days since the last one…. give or take 6 months. What is a kidney bed? Scary but a lucky escape! Congrats on the ducklings too, it would have been dreadful to lose all your wonderful images. Something very similar happened to me last year. I swore I would become the back up queen. And have I?…..
Thankfully, I live with my own PC Man. He’s saved my data countless times and I thank him regularly for it. I know exactly how you feel. I don’t know about PCs, but on my mac laptops I have an automatic back-up program that works seamlessly. I am sure there may be a PC version. Frightening. Glad everything’s Ok now and back to normal. Whew… Glad you didn’t lose anything! I need a better backup solution, I keep running out of space on the backup drive and failing to notice. 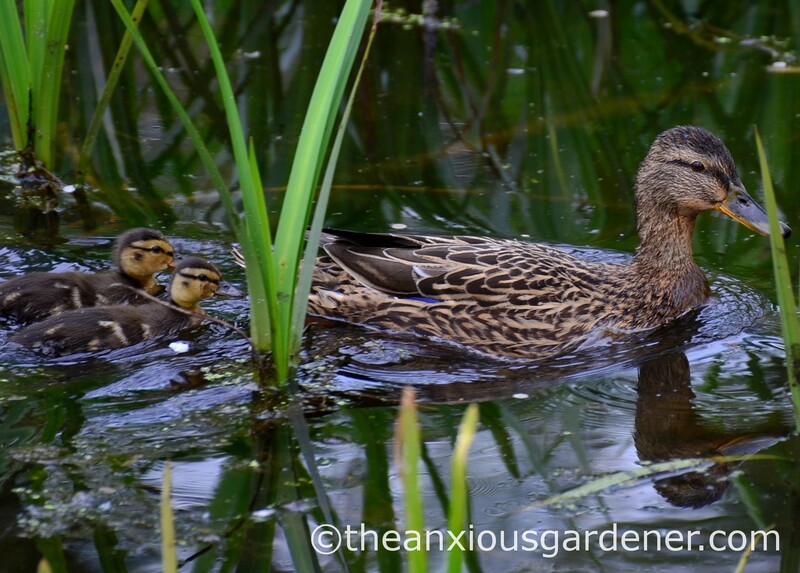 How wonderful to have ducklings again, and that long winding haze of forget-me-nots is lovely. Life without my laptop? Shudder!